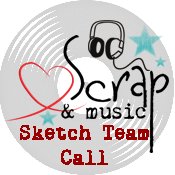 Scrap & Music is looking for new designers to join our sketch team for an eight month term (April - November/2014). Only Digital Sketches; Black & White; Your name (and blog address) included on the sketch; Sketches must be original and made exclusively for Scrap & Music. This call is open to international designers. 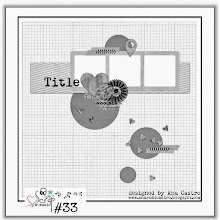 § Post the sketch on your blog when revealed. The closing date is Sunday, 23th February. Entries received after this time will not be considered.